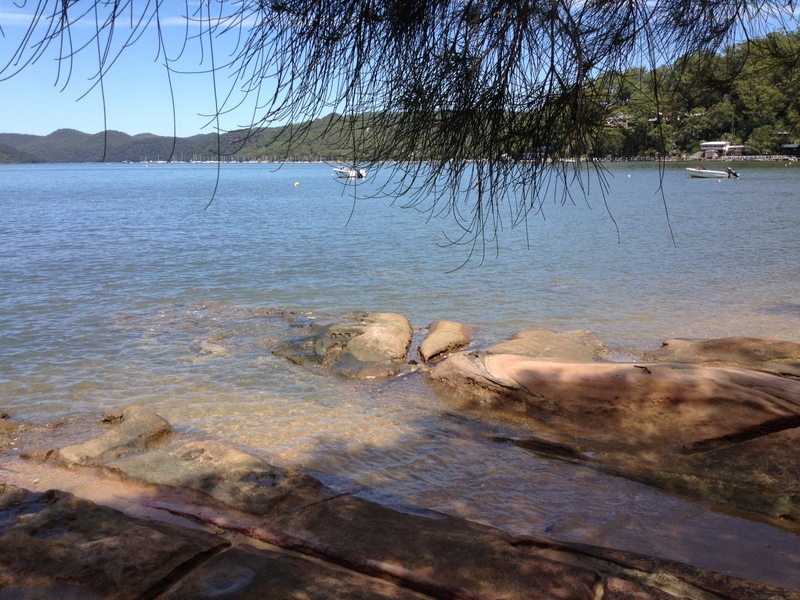 This little island is only fifty kilometres from Sydney on the historic Hawkesbury River, but once you reach it you could be half a world away. The cute (is there a better word?) 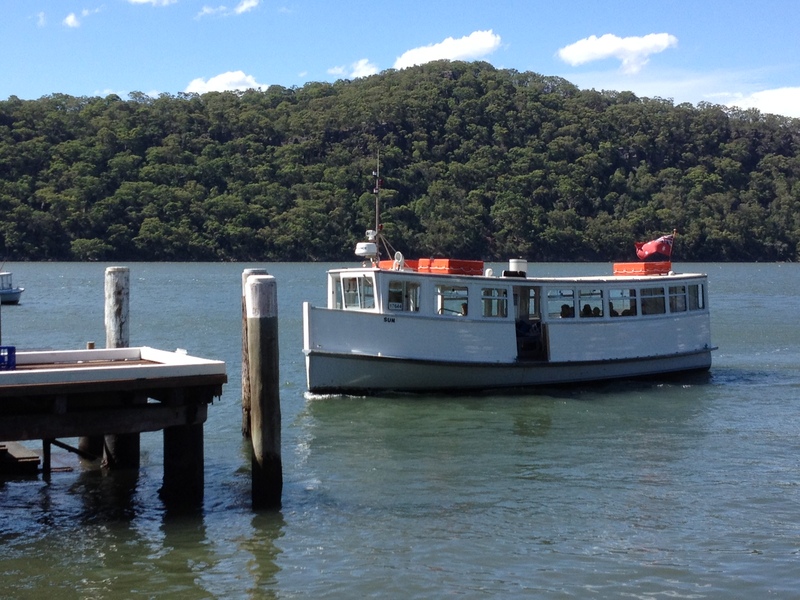 island ferry drops you at the wharf right next to the Dangar Island Café which has possibly one of the best “coffee views” in the world. 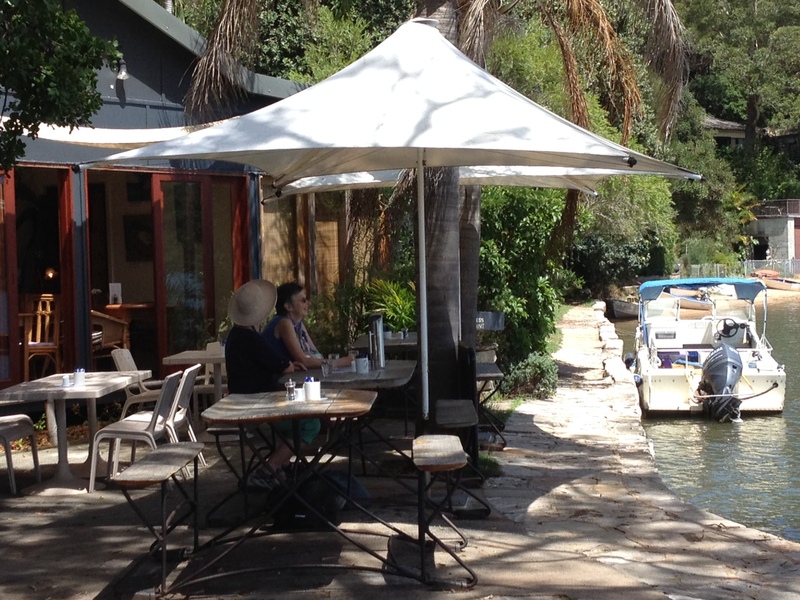 There are no cars, and residents transport their shopping home from the ferry wharf by wheelbarrow along small paved “streets” which loop around the island allowing glimpses of the river, island life and quirky sub-tropical gardens. We spent a leisurely few hours wandering the island, wishing we lived there and not wanting to return to the bustle and noise of Sydney. To rub salt into the wound, our return ferry disgorged a happy little herd of school children returning to their idyllic island homes.